Mummy the Curse RPG is available now at DriveThruRPG! Imagine being both dead and deathless at the same time. Imagine being cradled in the arms of death for years, sometimes decades on end, but all the while knowing that you will eventually not only arise again, but awaken to an unfamiliar world that mostly fears and hates you. Now imagine that your purpose, your entire existence, is bound within this cycle — that you are chained to it for all eternity. You sleep, you wake, your serve your Judge’s will in the lands of the living, and you return to the death-sleep once more. The ancient culture that empowered you is gone, lost to the sands of time… yet you endure. – The first new New World of Darkness™ game since 2009. – Represents a step forward in the evolution of the Storytelling System. – Book includes a player’s section, a Storyteller’s section, and a complete S.A.S. story—everything you need to get a chronicle up and running. – Includes extensive information on the Deathless, from their half-remembered past to their beliefs and social conventions to their personal motivations and more. – Scores of new examples of both game elements (powers, relics, Merits, etc. ), and new concepts, from the fivefold system of Pillars to the all-important Descent. – Opening fiction by award-winning author Greg Stolze. – Stunning original art by Sam Araya, Cathy Wilkins, Aaron Acevedo, Andrew Trabbold, Borja Linares, Vince Locke, James Denton, Marco Mazzoni, Johan Lindroos, and Tyler Winham. 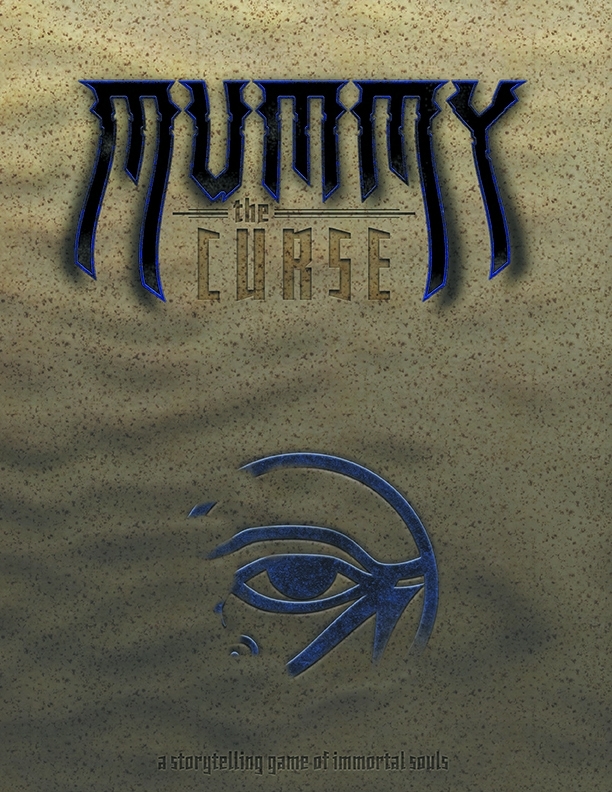 Mummy: the Curse is now available in PDF and Print editions at DriveThruRPG.com!